At Tipton County Integrated Medicine, we offer Spinal Decompression using the DRX 9000 to help relieve pressure and treat pain for neck and low back conditions caused by any of the following. 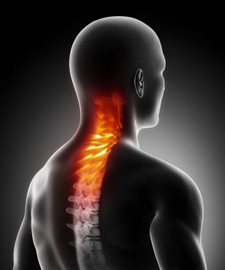 Most chronic low back spinal problems are due to chronic, repetitive compression or a trauma that involved compression. It may be long or short term compression. Over time, the discs quit responding and decompressing on their own. Therefore, you lose disc space and have degeneration and pinched nerves. Spinal decompression decompresses the affected areas taking pressure off the nerves. Ultimately the goal is to return the spacing between the discs to as close to normal as possible. Spinal decompression has a major healing effect. Sometimes people come in already scheduled for back surgery or with severe disc problems that are chronic. Using this spinal decompression, we’ve helped relieve pain and prevented many back surgeries for our patients. Spinal decompression is a very powerful and effective therapy as a stand-alone treatment. As our patients improve, we will provide chiropractic care and physical therapy as maintenance care to work with the decompression. Most patients love spinal decompression and can feel the difference almost immediately. Are you suffering from neck or back pain? Contact us today to learn more about spinal decompression and how you can benefit.